I am going to be busy the next couple of days working on some things for my literary agent that hopefully will help my book Mine Eyes Have Seen the Glory! Race, Religion, Ideology, and Politics in the Civil War Era move towards publication. So for the next few days I will probably post very short articles of re-runs of older ones. This is an article that with a few minor changes that I posted here a year ago, and since today is the 155th anniversary of the act I thought it would be a good time to re-post it. I hope that you enjoy it. There are some people and events that are important but get swept up in broader historic events and today we remember the anniversary of an act of daring that led to freedom. 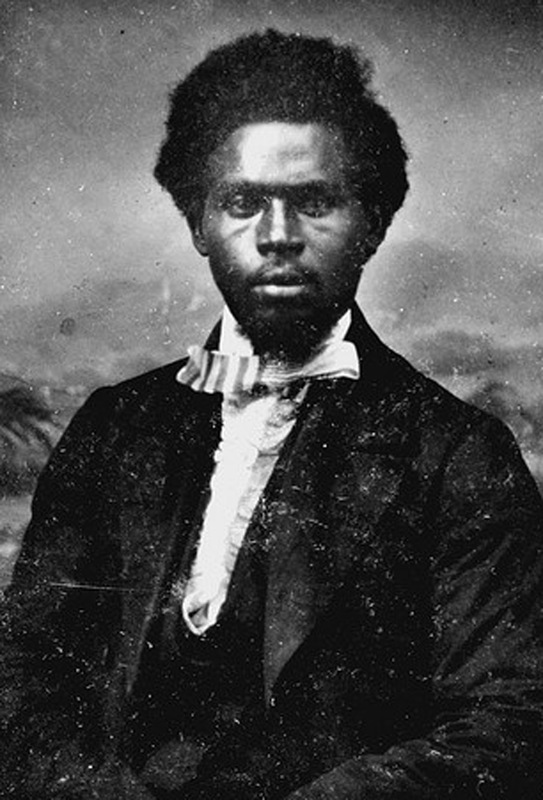 This is the story of Robert Smalls, a slave in Charleston South Carolina. Smalls was hired out to work with the money going to his master. He worked in a number of jobs, but as a teenager fell in love with the sea. He went to work as a slave worker on the city’s waterfront where he started as a common dockworker, became a rigger, a sailmaker, and finally a wheelman, which basically was a ship’s pilot, since slaves were not permitted that title. Even so his abilities and knowledge of Charleston harbor well well known and respected by ship owners. 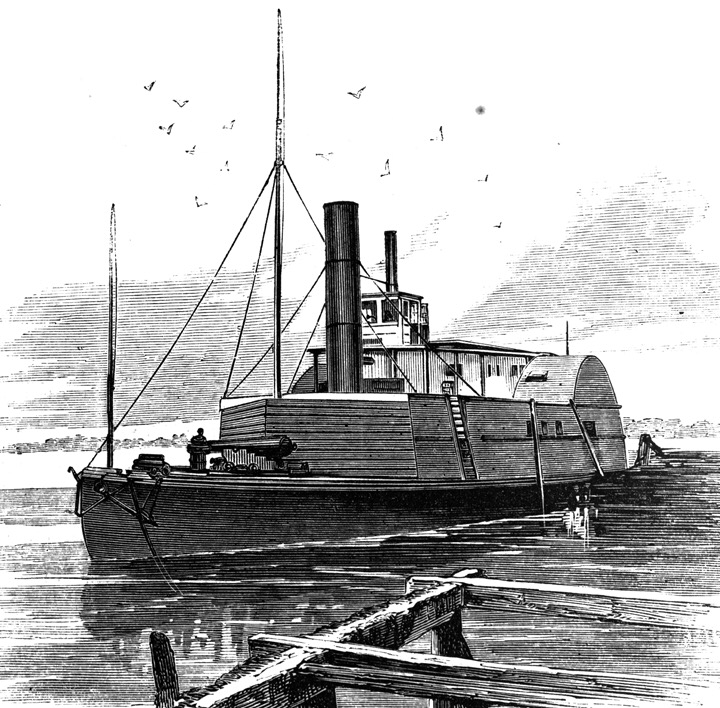 When South Carolina seceded and the Confederacy went to war, Smalls was assigned as wheelman of the CSS Planter, a small and lightly armed transport. On the night of May 12th and 13th of 1862, Smalls took advantage of all three white officer’s absence ashore, by putting into effect an escape plan he had worked out with the other slave crew members of Planter. Smalls and seven other slaves got the ship underway, with Smalls donning the captain’s uniform and a straw hat similar to the captain’s. In the darkness the ruse was perfect, no Confederates ashore suspected anything as Planter stopped to pick up the escaped slaves family members at another wharf before Smalls sailed out past the range of the Confederate shore battery guns to surrender to the USS Onward. Smalls present the U.S. Navy with the ship, her cargo, which included four artillery pieces intended for a Confederate fort in the harbor, but more importantly a Confederate code book and charts showing the location of deadly undersea mines and torpedoes that had been laid in the harbor. Smalls quickly became a hero. Congress voted him and his crew the prize money for the ship, and he met with Secretary of War Stanton to argue the case that blacks should be allowed to serve. Smalls’ story helped convince Lincoln of allowing African Americans to serve in the United Staes forces. Smalls served as a civilian pilot working for the Navy and and the Army, serving in numerous battles. He was the pilot for the experimental ironclad USS Keokuk when that ship was heavily damaged by over 90 hits at Charleston. He was responsible for getting the ship safely out of range of the Confederate batteries before she sank, thus saving many crew members. He then was reassigned to the USS Planter, now assigned to the Army. The ship got caught in a crossfire between the Union and Confederate forces and Planter’s captain ordered the ship to surrender. Smalls objected, knowing that any African American caught serving Union forces would not be treated as prisoners of war, but either returned to slavery or executed by order of the Confederate Congress. Smalls took command of the vessel and steered her out of harm’s way. He was appointed Captain of the ship and was present for the ceremonial raising of the American flag over Fort Sumter in April 1865. Smalls was the first African American to command a ship in the service of the U.S. Military. After the war Smalls got an education and when the 14th Amendment was passed ran for office, serving in the South Carolina legislature and as a member of Congress. He fought against changes to the 1895 South Carolina Constituion that disenfhchised African Americans and codified the Jim Crow laws which had be upheld by the Supreme Court in Plessy v. Ferguson. In 1889 Smalls was appointed U.S. Collector of Customs in Beaufort and served in that office until 1911. He also was director of a black owner railroad, and helped publish the black owners Beaufort Standard newspaper. He died in 1915 at the age of 75. Small’s courage and his fight for freedom, as well as others who did so should not be forgotten.